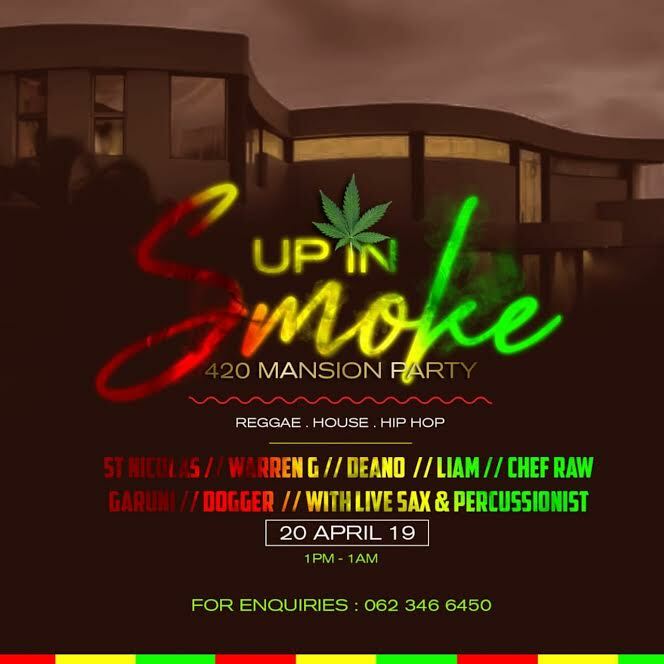 Come live the “HIGH” life, and hang with your Buds on Saturday the 20th April 2019, for the first annual ‘Up in Smoke 420 Event”. We have pulled out all the bells and whistles for this Mansion party, with a 5 Star Entertainment area, Jacuzzi, Pool, Bar Area, Lounges). A variety of Pop up Stores / Munchie Stations / Barber Shop / Good Music & Live Entertainment. Price: R200 per person. (includes 420 hamper valued at R300). 8 Suites are availabe at R1200.00 per room, breakfast included.